In January, we reported that a Russian arthouse theater had defied the country’s Ministry Of Culture by screening Armando Iannucci’s Cold War satire The Death Of Stalin despite it having its distribution certification revoked for—essentially—making fun of Russia’s history. Police showed up to a screening at Moscow’s Pioner Cinema, but at the time no arrests had been made and no formal punishments had been ordered. 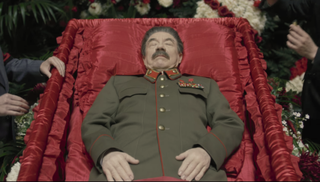 In the last few days, though, Russia’s Ministry Of Culture filed a lawsuit against Pioner for defying the ban and screening The Death Of Stalin five times in January. According to The Hollywood Reporter, the Russian government believes the theater purposefully violated the law when it screened a movie that wasn’t certified for distribution, but the theater claims that it was unaware the film’s certification had been revoked. The Death Of Stalin had originally been cleared by the Ministry Of Culture, but the ban was ordered just two days before the film opened at the Pioner theater.